We are pleased to help promote this giveaway from fellow blogger Mama Banana’ s Adventures! Are you in the market for a great handmade cloth diaper shop? Bella Luna cloth diapers feature small and limited batches, making them unique items that are sewn with love and precision. 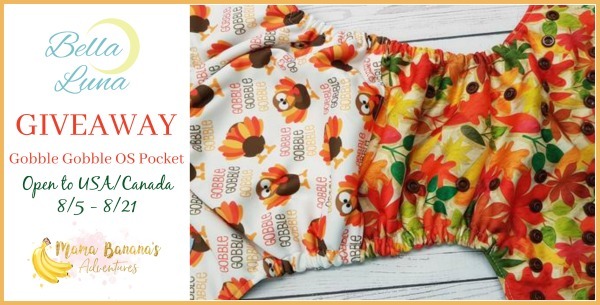 If you’re looking for a local option, Bella Luna cloth diapers are proudly made in Canada! That’s less carbon footprint from transportation. The shop offers amazing designs, custom creations, embroidery and fantastic customer service. 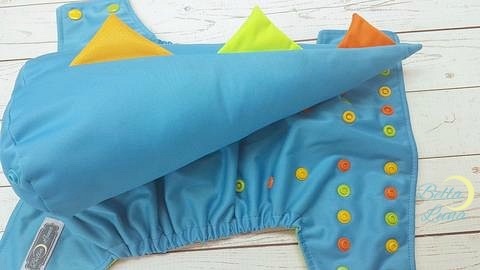 Their handmade items include cloth diapers, mama cloth, Bella Bottom undies, Bella Bum pants, swimmers, bibs, pull-up trainers and nursing pads. Bella Luna cloth diapers come in a wide variety of styles. From pocket diapers to covers, custom embroidery and even tails! Yes, tails! Dragon diapers with tails and an amazing assortment of patterns with great bum placement. In addition to a great ready-to-ship stock, Bella Luna has custom orders and limited runs of fabrics and pre-orders that you really have to see for yourself! Inserts are sold separately and allow you the option to add as much absorbency as needed! 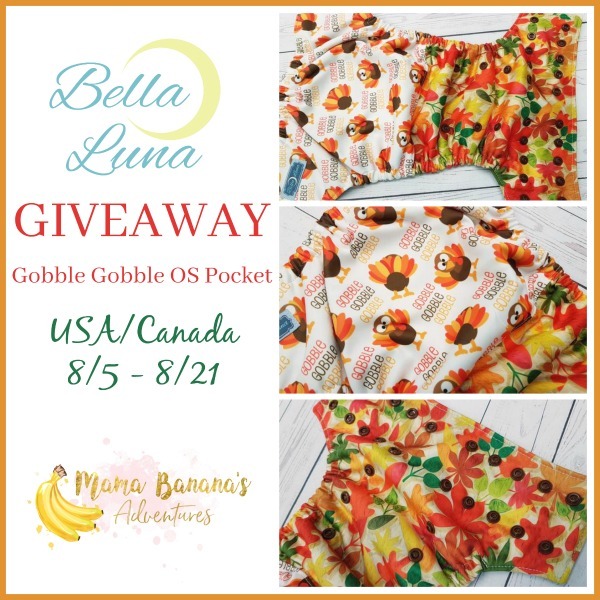 This giveaway is for a Bella Luna Gobble Gobble pocket that will be perfect for the fast approaching fall season! The colours will have you dreaming of falling leaves, the smell of pumpkin everything and get-together events with friends and family. Bella Luna has an amazing selection and some of the most unique diapers I’ve seen! Make sure to enter this giveaway below and take a look at the shop for in-stock handmade items and good luck. Giveaway will run until 8/21 and winner will be drawn from entries received. Winner will be contacted via the e-mail provided and have 48 hours to claim their prize before a new winner is drawn. I love the Purple Rain One Size Pocket Diaper! So cute! I love the fall colors! I am due in November so its perfect. Love all the frilly bum diapers! I looooove the morning mist buck diaper.